As part of ‘Pride in Vic Park’ we’re back making it simple and breezy for folks to get everything they need to change their name and gender marker in one easy place. We'll be offering information all the help you need around name and gender marker changes on birth certificates, driver's license and other identification and helping explain the changes the Government of Alberta has put in place to help make this process easier to navigate. We'll also have all the forms and a notary on site, so you'll be able to complete your application forms and affidavits right there with us and get your gender marker changes filed that day (name change applications require a few extra steps we can't provide on site but can certainly help you navigate)! An open house workshop around gender marker and name changes for identifications documents in Alberta. Drop in at any time! We'll be taking all things ID changes. We'll be offering information sessions on name and gender marker changes on birth certificates, driver's license and other identification and helping explain the changes the Government of Alberta has put in place to help make this process easier to navigate. 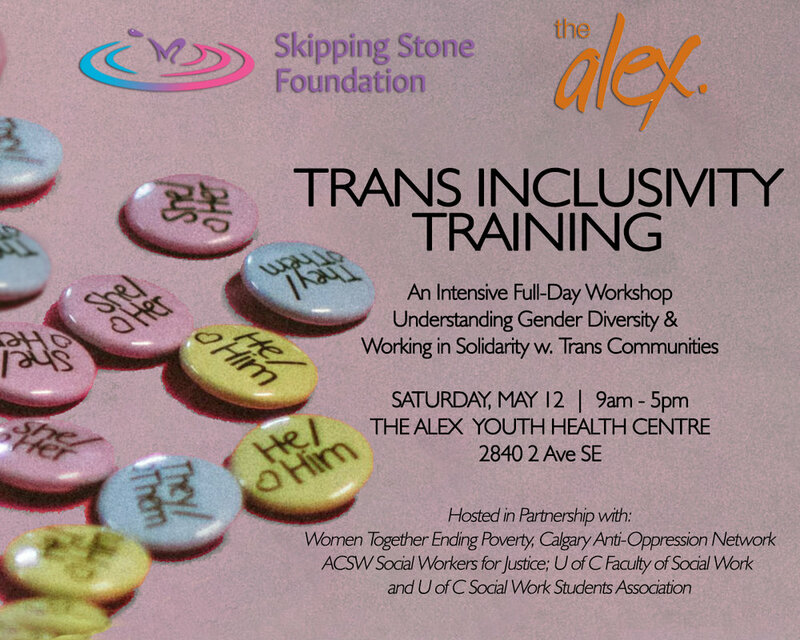 This thorough, comprehensive all day training provides a solid foundation for those working with trans and gender diverse individuals and all those looking to expand their understanding of gender diversity. It will offer a unique combination of core concept learning, workshop style exploration, evidence-based skills and approaches and sharing of lived experience.